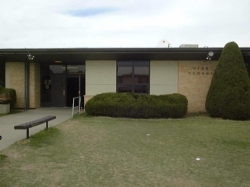 Tulia High School has a multitude of diverse classes covering everything from welding, art and grammar to college credit courses. The teaching staff is very experienced, qualified and knowledgeable. THS is the recipient of many honors and awards including Sweepstakes in band, and state winners in Skills USA. Students have advanced to regional and state contests in BPA and UIL. Students attending THS receive a varied education preparing them for the world of work, college or military. Tulia schools work really hard to meet the needs of all students from all backgrounds. Students, parents and community can be proud of the school system and the education the students receive.